What a year it has been for our running club. The diversity of club membership is awesome. We have elite runners capable of running Marathons within the elite time, we have Ultra Distance marathon runners, trail runners, park runners, road runners and people who just like to run along enjoying the opportunity to get out and about. It’s been a fantastic year for our club with many events attended, many PBs broken, new members joining and a some wonderful memories as well. This report will try and relive those memorises as best it can. Here are some facts; there have been ORC attendance at 112 race events ranging from the West Country league cross country, 5k park runs, lots of 10km and 10mile races, half marathons, marathons as some ultra marathons, one over 100 miles. Attending these we had 119 club members race during the year. 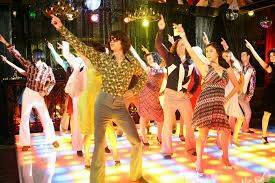 What a turnout and how well you all did. We had 73 PBs set across all races, some by a few seconds and others by many minutes. The Bideford Half-Marathon in March was the most attended event in the calendar this year. We had a record entry of 37 runners taking part in the Bideford Half Marathon! The forecast of heavy downpours and gale force winds dampened the hopes of those aiming for a new PB, but the weather gods were kind and despite early rain, the skies cleared and the wind was not such an issue, only giving the runners a tough time in the last couple of miles. Over 1,400 runners took part, the highest number ever in this increasingly popular race with its fast, flat and nearly traffic free course. The timing of it also provides an opportunity for those training for a spring marathon to test how their training is going over half the distance. The furthest away race attended is a tie between Jackie Dawes and Caroline Wilson. Caroline Wilson travelled to the USA to take on an incredible endurance challenge. Taking place in Disney World, Florida, the Dopey Challenge is a four day event at the end of which the participants will have run a total of 48.6 miles. Caroline eased in with a 5k race, which is followed on the next day with a 10k, a half marathon the next day and finishes with a full marathon on the Sunday. Caroline completed the Challenge and so raise money for Crohns and Colitis UK. Caroline collected a total of six huge medals, which may cause her some excess baggage charge on her return trip! The final mention on fund raising must go to Mags. She took part in a sponsored Great Escape half marathon in August on behalf of Parkinson’s UK and raised £3017.50. Mags said, Well done Mags for completing the event and raising such a huge amount of money for such a worthy cause. The longest race and perhaps the toughest races, the Cotswold Century that Rob Hicks took on. This extremely challenging race, with over 12,500ft of ascent follows the Cotswold Way from north to south, starting in Chipping Camden and finishing at Bath Abbey, 102 miles later. With a midday start Rob had to run a greater portion of the race in the dark than in the light. Thankfully the conditions were good with the ground firm and dry and Rob ran a brilliant race, moving gradually up the field to finish in fifth place in a very impressive but mind-boggling time of 22hrs 28mins, well inside the thirty hour completion limit. There are so many events to relive but will leave the reviews to yourselves and to reflect on your years challenges whatever they have been. Please remember in 2018 to share on our Facebook page the details of your events so that we can share your achievements to others within the club. Many thanks to Jane Jackson for gathering all the run reports and preparing the report for the news paper most weeks, to Chris Turner for the editing who also handed that role over to Robert Richards. Without your input we would really struggle to have such inspiring reports. Have a fabulous New Year and look forward to the races, events challenges and the exciting club nights and training session prepared so professionally by Geoff and managed so well by all the coaches. As the festive season draws nearer, our runners were still prepared to get out and tackle some muddy off road races in both daylight and the dark. The Wild Night Run’s Dark Dart Dash, The Torrington Christmas Caper and the Mud Crew’s Scrooge. At Wild Night Run’s Dark Dart Dash on Saturday evening there was a range of distances to run from the 1k and 2k children’s races to a 5k for anyone over 12 years old and 10k for adults only, all taking place around the grounds of Dartington Hall. Christine Fritsch choosing the 10k and Gill Spinney the 5k, after accompanying her daughter in the 1k, Gill watched her son in the 2k. They both enjoyed their races, with Gill having a terrific run in the 5k to finish in 32.29, coming second lady overall and first in her age group, and Christine finishing well placed in the 10k in 1.03.42. The Torrington Christmas Caper has become a traditional Christmas excursion into the mud and fields around Torrington, taking in some some of the Tarka Trail, forestry tracks and offering plenty of hills with the odd river crossing. As with most of these races at this time of year there was plenty of fancy dress on show, some standing up to the muddy conditions better than others. Tom Andrew and Ruth Bushell taking this tough race on for the first time, while Richard Owen had done it before, but hasn’t raced at all for the past eight years! He was pleased to complete in 1.33.58, as was Tom who ran well to finish in 1.36.06, with Ruth enjoying her debut run here, coming home in 2.00.20 and hoping to return again next year. While these races had their usual share of mud and hills for winter off roaders in the south west, Mud Crew’s Scrooge, held at the Lost Gardens of Heligan, ensured that runners not only got thoroughly muddy, but got the chance to wash it all off with a swim before getting muddy again. 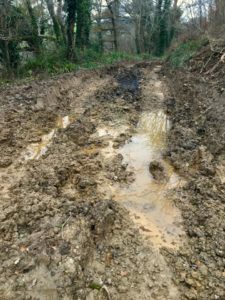 Sold as a perfect pre-Christmas mud fest, this 7 mile trail race includes some stretches of water so deep that some smaller runners have to actually swim rather than walk across! There are also a good number of steep hills to climb, one being repeated three times, but to keep their spirits up and help them get through this brutal race there was cider and merlot on offer at the drinks stations! Jo Turner was the lone runner here, running it with a friend and thought it was the best seven miler she’d ever run, clocking quite a good time for the conditions of 1.51.10. 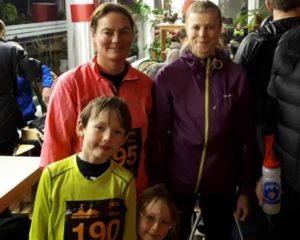 On Saturday evening, while some runners were out racing in the muddy darkness, others were enjoying the club’s Christmas celebrations at the Pavilion n the Park. There was a buffet meal followed by a draw for prizes including a lovely Christmas hamper, won by Danielle Fullford Brown and £72 was raised for the Devon air Ambulance. Only a few brave runners out this weekend, and mighty cold it was! Despite the wintery weather Ali Coulton, Robert Richards and Phil Spinney set out on a Race the Light event near Mothecombe in South Devon. The Race itself is a shadowy 8.5 mile escapade, meandering through Flete Estates’ secret tracks and trails. The race starts on the sand, the runners were crossing the Erme estuary in the freezing waters as the light was fading getting wet feet and legs from the outset and up into the woods they ran. On the return leg, leaving the woods to cross the estuary for the second time, up the slipway and continuing to the finish line at the Old Schoolhouse. The race had many challenges from racing against the light, the incoming tide, the slippery, sticky mud and off course the biting wind. This year saw over 290 runners starting the race and the trio represented the club, proudly sporting their club colours. Robert Richards came in first with a time of 1hr 22mins, overall 66th position and 7th in the MV50 age category, second was Abi Coulton with a time of 1hr 33mins and Phil Spinney, despite starting out with a steady halfway pace he suffered a recurrence of a recent calf injury. Although this caused him to slow, his determination and awaiting family ensured he soldiered on to the end finishing in respectful 1hr 46min. 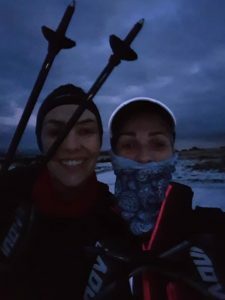 The cold winter snap didn’t put off two further runners from their continued preparation of an Ultra-Marathon in the spring, Jo-Anne Turner and Alison Holliday. Finding the highest and coldest part of Dartmoor setting out early to complete their training. Well done ladies! 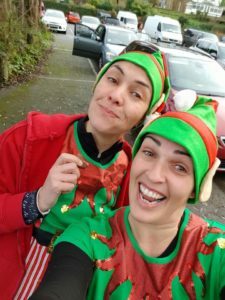 Another awesome weekend of running and not forgetting a mention of our very own Santa’s little helpers! Saturday evening saw the third race in the Wildnight Run race series. This included a punishing 10 mile slog or a more sedate 10km around the reservoir. A tough 10mile off road Burrator Noir takes in stunning terrain over open moor-land, including a punishing 5 mile continuous uphill ascent. The compensation for this climb was views to the lights in Plymouth while enjoying the peaceful nights atmosphere of the open moors. An exhilarating descent from Gutter Tor to Meavy Splash where runners had the option of getting wet legs or taking a longer route to avoid the river crossing, finishing with another harsh climb in the last mile. 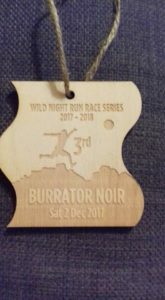 Although having never done the Bur-rator Noir before, Okehampton Running Club’s Christine Fritsch is an experienced night runner, finishing in 1.57.09, coming third FV40. The Burrator 10k is an ideal first step into night running, and is a fast, flat road race, where a route of one and two-thirds laps of the reservoir, finishing at the visitor centre. A new Okehampton member, Tom Andrew, took on this as not only his first night race but his first 10k race too. A relative newcomer to running, Tom had previously only completed a half marathon and a 10 miler and this was his first race since joining Okehampton. He is reaping the benefits of training with the club, already having improved enough to have moved up a group, and was pleased to come 8th in his age category here, finishing in 54.08. 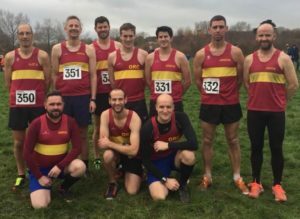 At Sunday’s Westward League fixture in Exeter which hosted the Devon X-Country Championships, there was another impressive turnout of ORCs despite some not making it through injury. 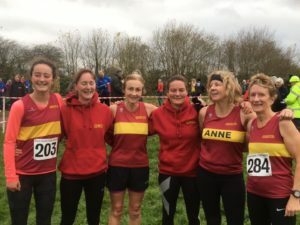 Okehampton now has a good strength and depth of competitive runners ready to take on the challenge of these tough, fast races and there were some good performances over a very muddy and energy-sapping course. In the Ladies race, which again was an extended distance due to a marshalling error, Sarah Marvin was the first ORC runner home with a great run to come 4th in her age group for the Championships. She was closely followed by her daughter Molly, who despite lacking training this year, ran a brilliant race to come eighth and go forward to represent Devon at County level. Gill Spinney was next home followed by Jane Jackson, beginning to come back to form after several injuries, with Anne Binns next and Mags Jarvis having a great run at a faster pace than last year despite the worse conditions underfoot to come 3rd in the FV60 category. Issy Edworthy was the only representative for the club in the under 15 girls race where she held her own among some extremely talented opposition to come 9th, making her first reserve to represent Devon at Inter-County level. Eleven ORC men tackled the longer course which by now had become even worse underfoot, with on-form Paul Crease coming home first for the club with a brilliant run which gave him third place in the MV45 category. Andy Vallance was next, followed by Rob Kelly making them sixth and seventh in their age groups. Chris Turner and Hugh Robinson were next home, these five making up the team results for the League, while Paul Carter ran well to maintain a good placing in the League’s MV50 category, but not entering the Devon Championships. Graham Bryant finished next, followed by Ed Dumpleton having his debut X-country run here and enjoying what was a baptism of mud and hills, with George Haskell next and then new club member Stuart Page, also run-ning his first Westward League race, and Andy Humberstone. …and on a final note thank you to everyone who helped marshall the Santa’s park run on Sunday morning. A very well attended run with over 80 runners this years most of whom wore their very own Santa’s outfits. Error: Error validating access token: Session has expired on Saturday, 20-Apr-19 03:20:42 PDT. The current time is Monday, 22-Apr-19 11:35:52 PDT.